Followed by a sharp ping, the digital queue display flickered to reveal new sets of numbers, prompting patient ticket holders to crane their necks to see if it’s their turn. As one scurried to the counter, the rest was left to their own devices, or to an array of essential oils which they can either whiff up or slather on their palms. The last part may have been a giveaway that we’re not in a neighbourhood polyclinic. 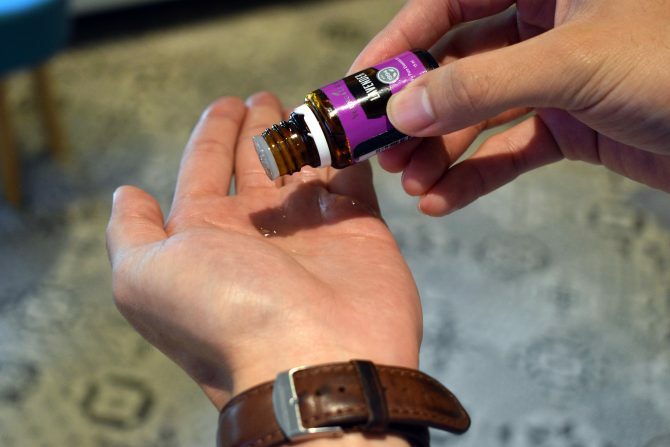 Instead, we found ourselves in the Singapore headquarters of essential oil giant Young Living, where all sorts of intoxicating scents permeated the air. “There is a Young Living product for every person of every age,” declared Dr. Lindsey Elmore, the Director of Global Education and Health Sciences for Young Living Essential Oils, whose eyeshadow matched the magenta facade of a lavender essential oil bottle. With a global company boasting more than 100 essentials oil, we daresay you’ll find one that tickles your fancy. And to ensure the essential oils’ quality, Young Living has taken upon itself to cultivate farms specifically for this production. Now, that’s what we call a well-oiled machine. 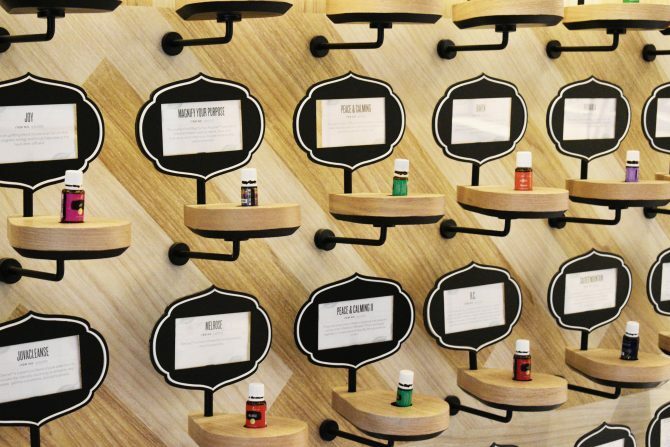 We chatted up with the doctor to glean more nuggets regarding Yong Living and essential oils. She didn’t say it, but we think she wants you to refrain from scented candles. What is Young Living all about? The vision of Young Living is to bring the brand’s essential oils to every home in the world. We believe in the power of essential oils to be infused into everybody’s daily wellness routine, so it’s more about getting them into every room of your home, every part of your day be it at work or when you’re travelling. We take high quality, pure 100% essential oils and used them just as they are. We infused the oils into supplements, personal care products and homecare products, and so it’s all about total lifestyle transformation. How does one separate a quality essential oil from the rest? There are a couple of things you can look for when you are looking for quality in essential oils. Firstly, you want to look for evidence of commitment to bring pure essential oils that are free from synthetics. Secondly, look out for good farming practices. It takes a lot of plant material to make essential oils so you want to make sure you’re buying from a company that gives back, as you do take a lot from it. The other thing is that consumers can ask if synthetics have been added to the oil. Is there a lot of stuff on the label that you perhaps can’t read through very easily? With Young Living, you’re going to get pure essential oil and then for safety reasons, we’ll add carrier oil, which is fatty oil that helps it be safe on the skin. An example is Young Living’s wintergreen essential oil. 90% of the wintergreen on the market is oil of wintergreen. That is a differentiation right there on the label: wintergreen essential oil is an essential oil, oil of wintergreen is a synthetic methyl salicylate that can be very heavily concentrated and much more risky for younger children and people who have a risk of bleeding. What is the best method to reap the benefits of essential oils? There are two major ways to use essential oils: You can inhale them or you can also use them on the skin. To inhale, place a drop of essential oil into your left hand, rub your hands together and then you make what you call a scent tent (cupped your palms and placing them over your nose area without touching the face). For skin, you can put the essential oils into a DIY, like make an after-workout muscle rub by meltdown coconut oil, stir in some herbs and put in the fridge, and then you got a balm to put on after a workout. Can essential oils sometimes be more effective than conventional medical treatments? None of Young Living oils are intended to treat diseases or to replace any medicine. But that said, we do have a lot of supplements in Singapore that are great for helping to enhance a wellness routine. So while essentials oils may not be there to treat disease, you certainly can enhance a wellness routine using supplements. Is a scented candle similar to an essential burner/diffuser? Your scented candles have two drawbacks. Number one, your scented candles will be filled with synthetic aromas and so the other thing is when you use a Young Living diffuser, you’ll be cold diffusing the oils. And that’s important because if you burn essential oils, you’re going to burn off and change some chemical constituent. If people make their own DIY candles, make them tiny, because the more that you burn them, the worse that they can be.